Robert Creely, Wilmington, N.C., June 29, 1981: There is a sense of increment, of accumulation, in these poems that is very dear to me. Like it or not, it outwits whatever I then thought to say and gains thereby whatever I was in saying it. Thankfully, I was never what I thought I was, certainly never enough. Otherwise, when it came time to think specifically of this collection and of what might be decorously omitted, I decided to stick with my initial judgments, book by tender book, because these were the occasions most definitive of what the poems might mean, either to me or to anyone else. To define their value in hindsight would be to miss the factual life they had either made manifest or engendered. So everything that was printed in a book between the dates of 1945 and 1975 is here included as are also those poems published in magazines or broadsides. In short, all that was in print is here. I'm delighted that they are all finally together, respected, included, each with their place--like some ultimate family reunion! I feel much relieved to see them now as a company at last. I'm tempted to invoke again those poets who served as a measure and resource for me all my life as a poet. But either they will be heard here, in the words and rhythms themselves, or one will simply know the. This time I am, in this respect, alone these are my poems. We are a singular compact. Finally, there's no end to any of it, or none we'll know that simply. But I'm very relieved that this much, like they say, is done. So be it. 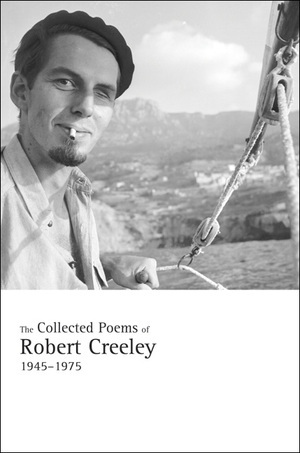 Robert Creeley (1926–2005) published more than sixty books of poetry, prose, essays, and interviews in the United States and abroad, including If I Were Writing This, Selected Poems 1945–1990, The Collected Poems of Robert Creeley, 1975–2005, and The Island. His many honors include the Lannan Lifetime Achievement Award, the Frost Medal, the Shelley Memorial Award, and the Bollingen Prize in Poetry. He was a member of the American Academy of Arts and Letters and Distinguished Professor in the Graduate Program in Literary Arts at Brown University.